All snuggled in my Christmas pj's it just wouldn't be Christmas without watching my favorite Christmas movie... A Christmas Story. If you haven't seen the movie well then do yourselves a favor and just watch it....I triple-dog-dare you! Vito and I want to wish you a very Merry Christmas and a Happy New Year! Much love to you all. 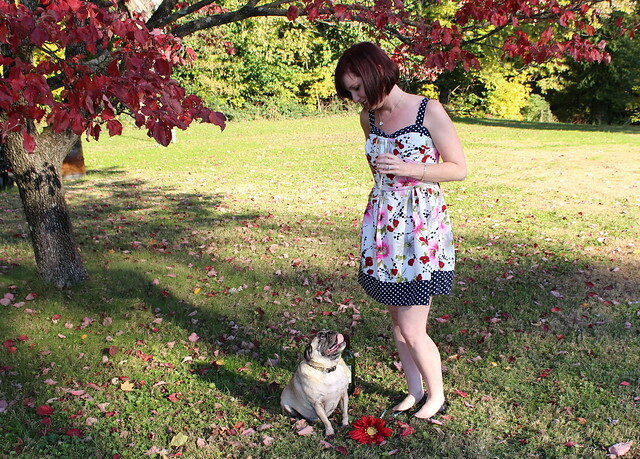 Thank you all for reading and supporting this little bitty blog. 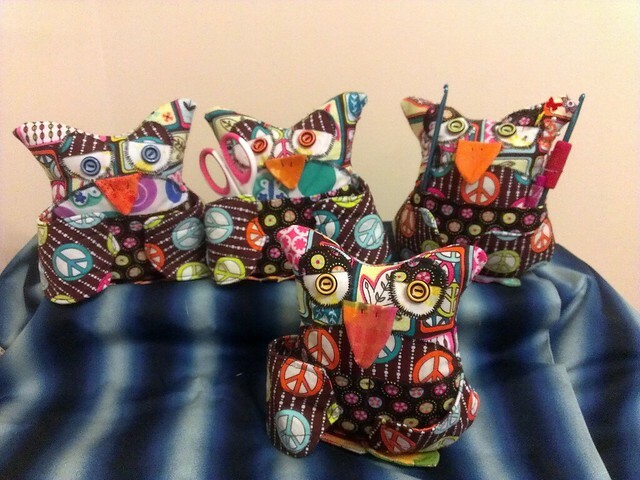 It's been a great year in the world of sewing. Looking forward to what the new year brings. I hope you all get plenty of time to relax and enjoy time with your loved ones. 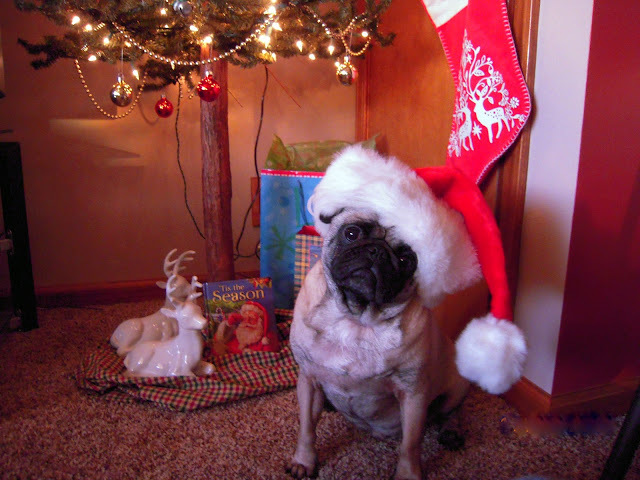 Vito hopes you all get plenty of treats in your stockings and that you made sure and left plenty of treats for your four legged friends...good ol' Vito, always looking out for others..wherever treats are concerned. 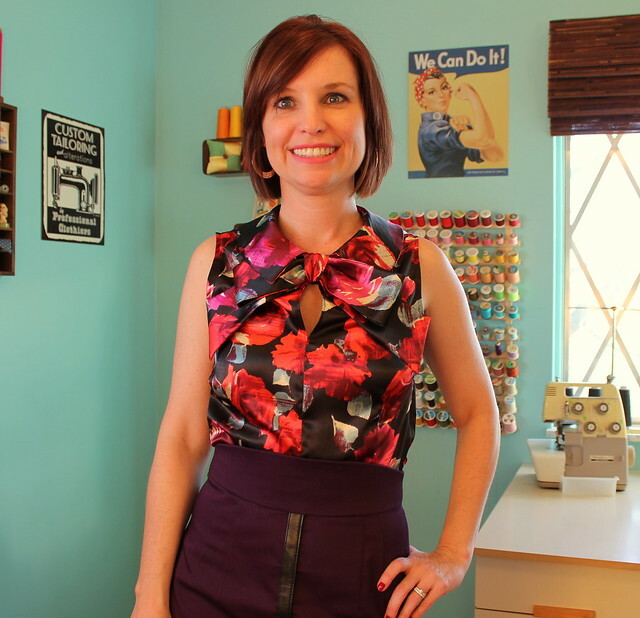 If any of you are interested in taking a peek inside my sewing room check out my interview on the Fabric Mart blog! Also if you have any ideas of things you'd like to see on their blog i.e. 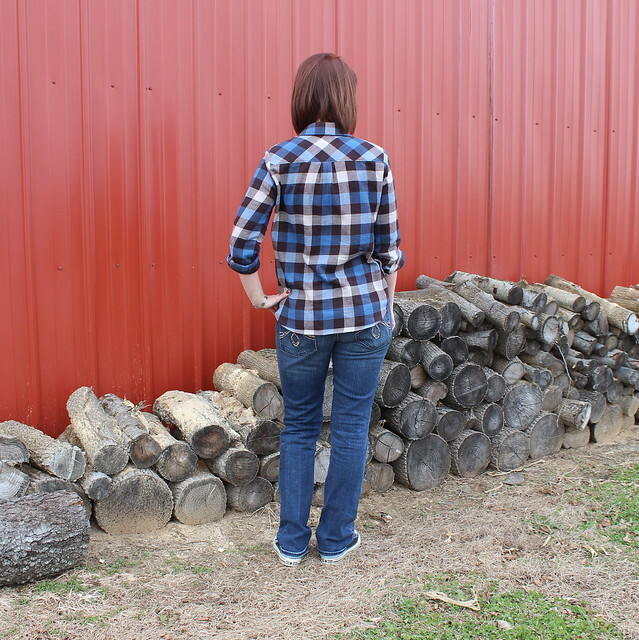 tutorials, fabrics, or even contribute to the blog then check out this post and please leave a comment with your ideas. 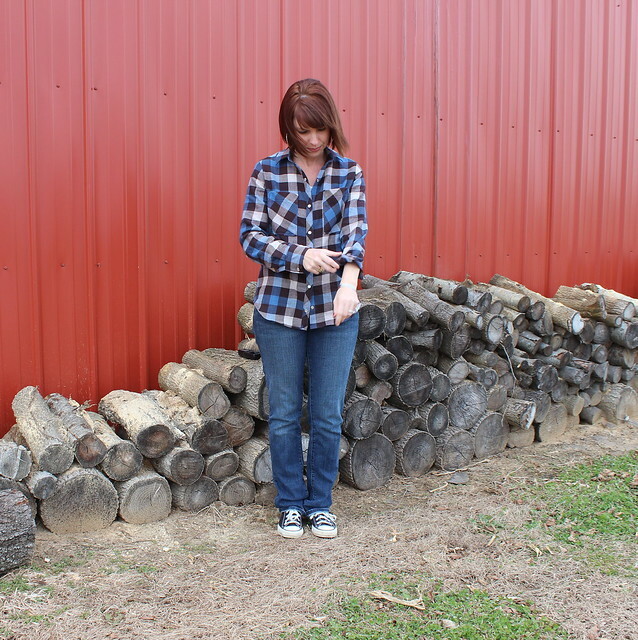 For the next 6 months I'll be contributing to the blog once a month. We are working on some ideas and I'd love to hear yours!! The Ready~to~Wear Fast of 2014 and Vito got some new shoes! So if you follow Goodbye Valentino I'm sure you've seen her invitation to join in on the Ready~to~Wear Fast of 2014. That means no store bought clothes for a whole year people!! (underwear, shoes and socks permitted) I was all in as this is something I've contemplated for a long while. 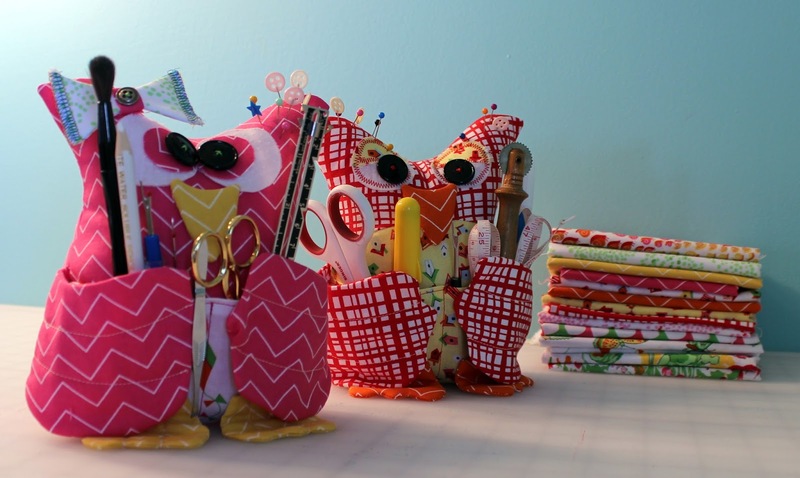 Before I started sewing I was a shopaholic. 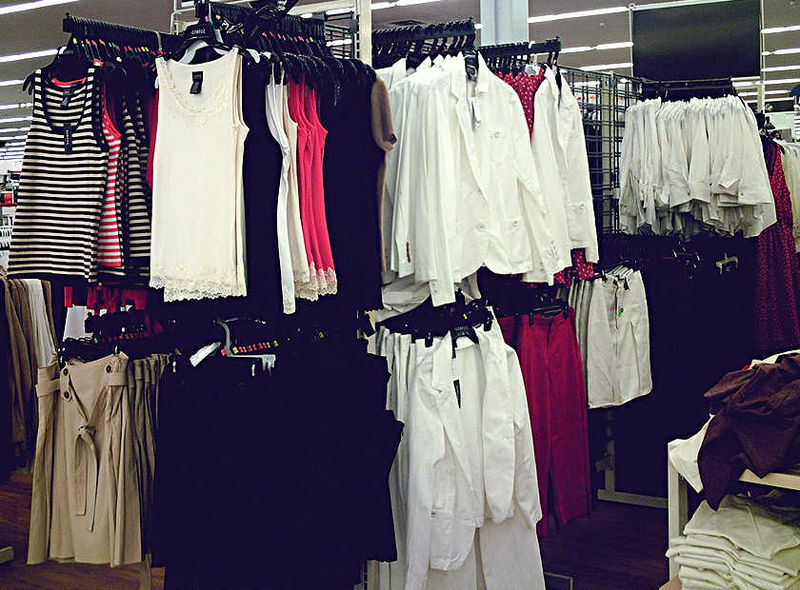 Fast fashion was like a drug to me. Totally addicted my lunch hours were spent buying cheap clothes that I really didn't need. Once I started sewing some 2 years and 6 months ago I really started looking at what I was buying and at what cost. I didn't stop buying RTW completely though. Like a drug addict I had to ween myself off and still suffer from withdrawal every now and then so sue me. 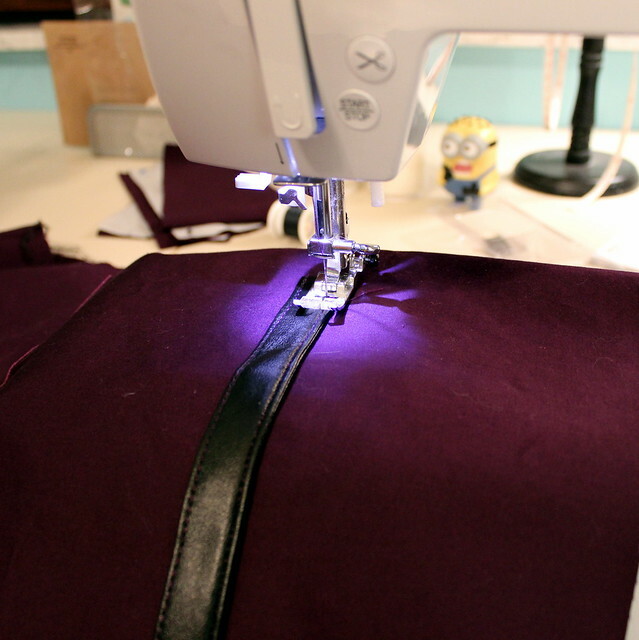 Since I've started sewing one thing people ask a lot is, "Is sewing your own clothing cheaper?" And a lot of people assume that it is indeed way cheaper. I mean why would you waste your time sewing the Lady Skater when you can just go buy it at Forever 21 for $8.00? 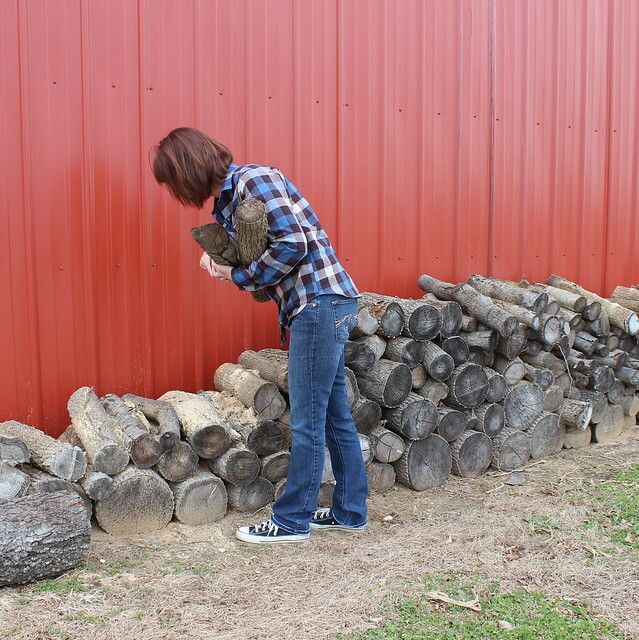 Why not save yourself the time and frustration. I mean there has to be some sort of payoff, so making you own clothing must equal out to pennies right?! Uhm...no...yes....sometimes?? First off the major payoff for me is the satisfaction I get realizing I made something with my own two hands and by golly it fits and looks great! Sure there is some frustration that might go along with it but that's a part of the process. Working through those frustrations (like fit and the secret love affair I have with my seam ripper) is what's really rewarding. (Bonus points for using fabric I found on clearance for $3.00 a yard.) No matter what it cost me $3/yd to $10/yd, sweat, tears, hair loss... in the end it was a learning experience and I enjoyed making it AND to be honest I'm really freaking pleased with myself about it too. We too should also realize not all RTW is Forever 21 prices. If your looking at THIS Skater dress for $248, well then hell yes sewing my own is cheaper, and I'm definitely gonna get a lot of satisfaction outta that! Besides cost there are lots of other pros and cons we could discuss on the topic of RTW vs Handmade but I don't want to travel down that road right now because I have some other things to share. 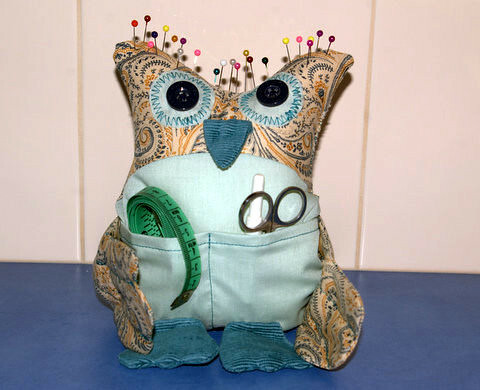 Instead I want to know.. Why do you sew? 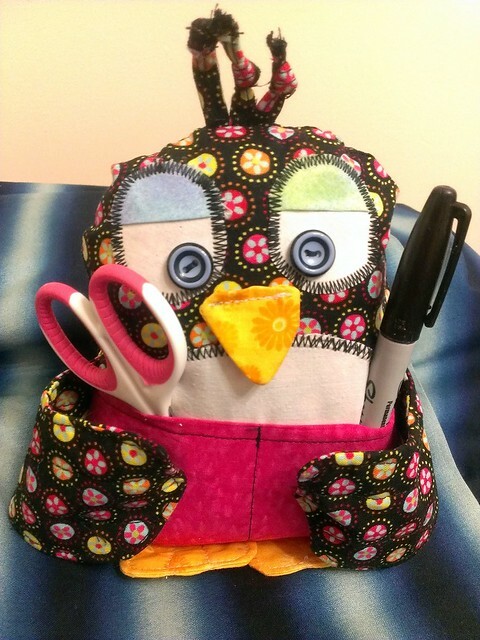 Do you sew to save money or simply because you enjoy it? 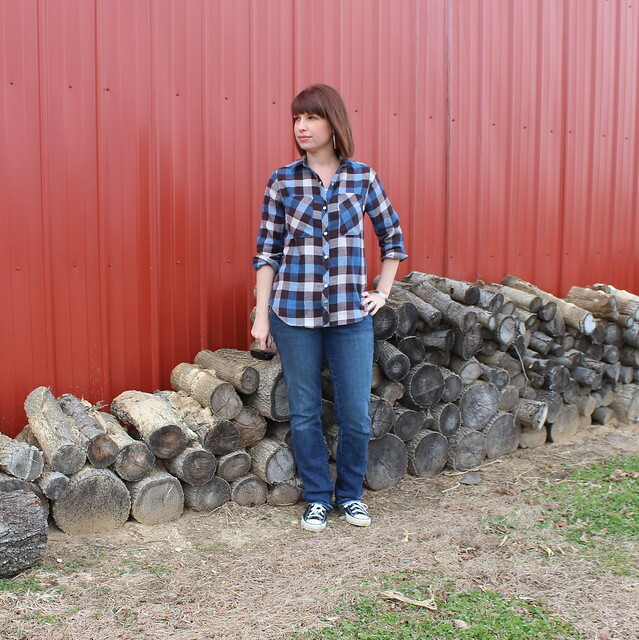 What are some of the pros and cons you see with RTW and handmade? Will you be joining in on the RTW Fast of 2014? Please share! I Shannon Jordan, solemnly swear to buy NO ready to wear clothing in 2014 (with the exception of shoes and underwear and I do feel I should allow for some thrifting for refashoning purposes). Wow I felt myself breaking out into a cold sweat as I typed that. I desperately want to go on a shopping binge this weekend. On with the other things I wanted to share. I haven't sewn any clothing since the FM competition. I've sort of taken a break from clothing and have been keeping busy with alterations and Christmas gifts. Last night I made Vito a pair of snow booties. Here in Indiana the temperature is frigid and there is snow on the ground (and according to the forecast more snow and ice to come, boo!) Watching poor Vito trying to find a spot to relieve himself makes me feel bad for him. By the time he's done his poor little paws are so cold they are numb and he's walking on them like he's got glue stuck to them or something. Quite a sight! So I stopped at Joann Fabric on my way home from work last night and picked up some fleece from the remnants bin and followed this tutorial from Instructables.com. The result was not pleasing to Vito as you will see in the video below. They were a pain to get on his feet. He didn't want to cooperate and I realized I'm going to have to wake 20 minutes earlier in the morning to have time to take him out before work if I want him to wear these ridiculous contraptions. Once he got outside in them he just stood frozen like a statue. So I don't know if these were a total waste of time or not. I'm sure it will take him some time to get used to them and it sure makes for a good laugh watching him walk in them so not a total waste. Enjoy the video. (not the greatest quality, it was taken with my iphone). Thanksgiving Day is coming ahead. So many things to look forward to...turkey, cranberry sauce, tight pants, naps, football (if your in to that) and the Macy's Thanksgiving Day Parade. Well I thought I would do a parade of my own to celebrate the upcoming festivities. 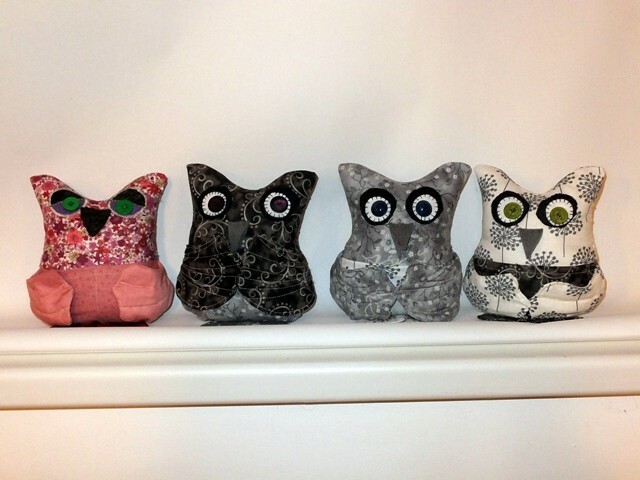 My parade showcases not a turkey but a bird of a different feather, the wise old owl. 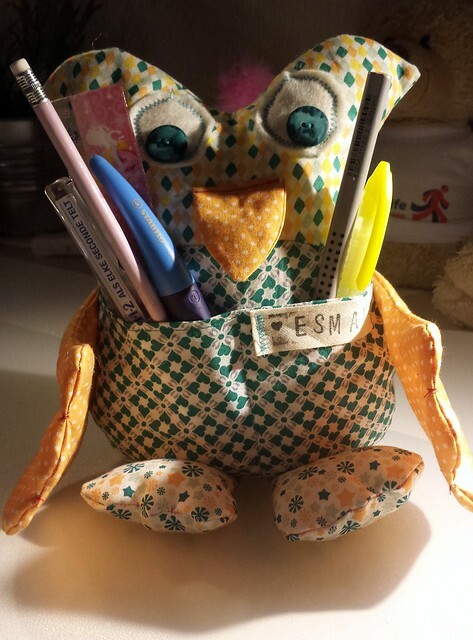 This little guy is special to me because he's my faithful companion in the sewing room. 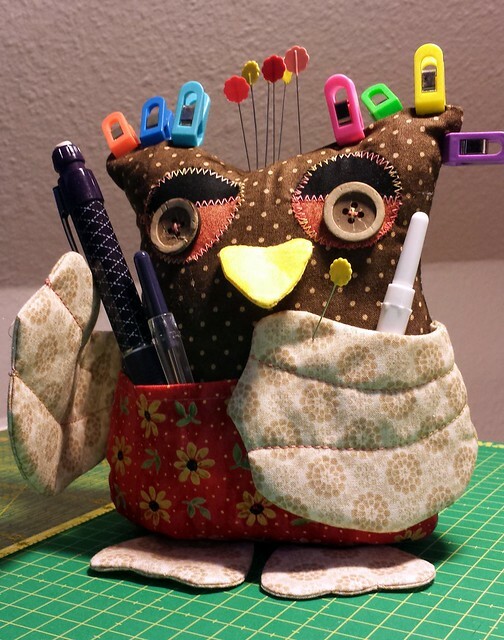 You might remember him, the "Owl You Need" Sewing Buddy. I'm thankful for him because he's saved me a lot of heartache by no longer having to search aimlessly for my misplaced seam ripper and my thread scissors. 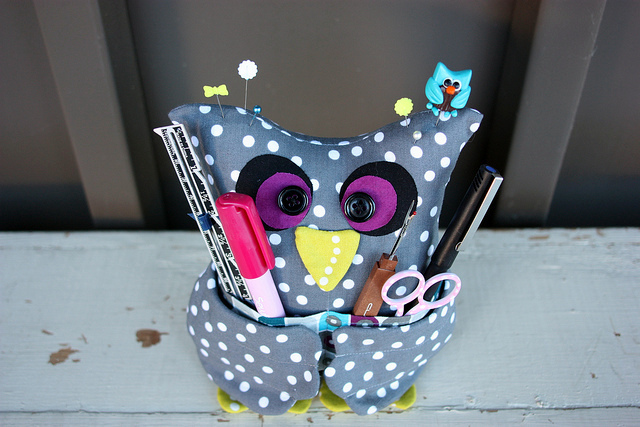 If you have not seen my pattern you can find it here on my tutorial post or you can now get it on Craftsy. It's a free pattern! I've been so ecstatic by all the response I've gotten to this pattern. Many of you have sent me pictures of your little guy/gal and I've had a lot of fun putting this parade together showcasing our new friends. If you've made one and would like to be in the parade please email me your picture and I'll add him/her to the post. You will see we've got owls representing places all over the world. This next owl's little flappers sure must be tired. He came all the way via Willy from Belgium and sure looks like a ray of sunshine. "Ten-Hut!!" 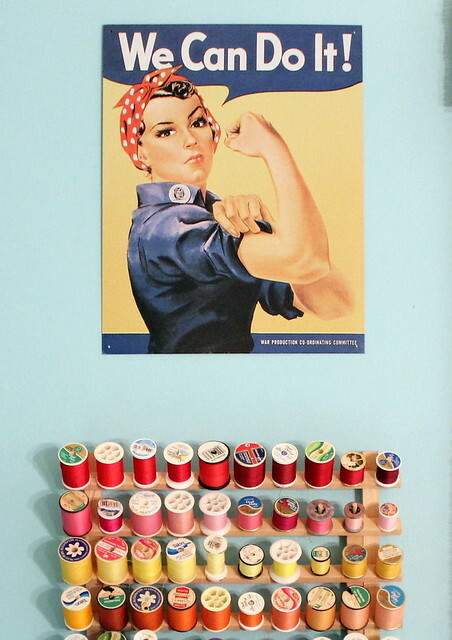 Monique's guy is standing in perfect formation and has everything she needs for a successful day in the sewing room. Anna's owl is waving hello as she makes her way through the crowd. She came all the way from Cologne, Germany. Representing St. Louis, MO is Tat-Who. Don't let his looks decieve you. His fresh ink makes him look tough but Vicki can assure us he's a big softy when he's putting in his time in the sewing room. I smell a hint of patchouli in the air with this next group coming in. I bet Laura can't help but to hum a little California Dreamin' with these peaceful dudes next to her. Peace little dudes, peace. 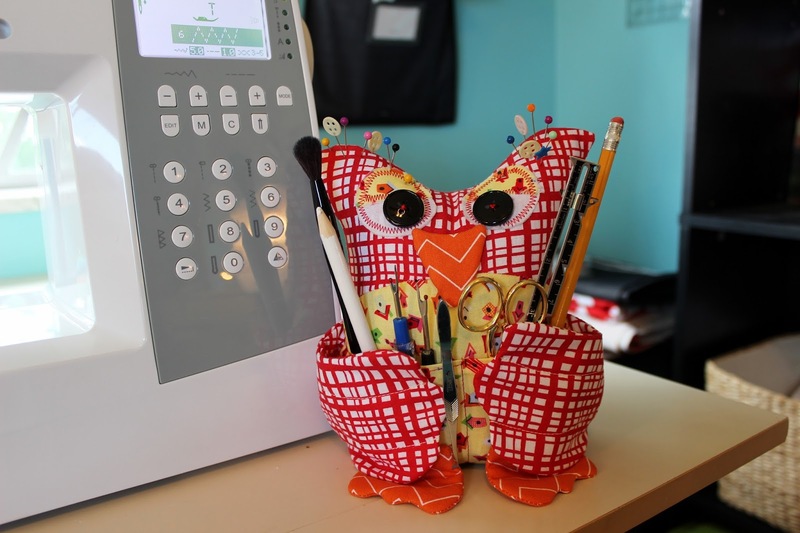 Well lookie there, Laura says Penqiun's make good sewing buddies too! Oh and are so cute to boot!! 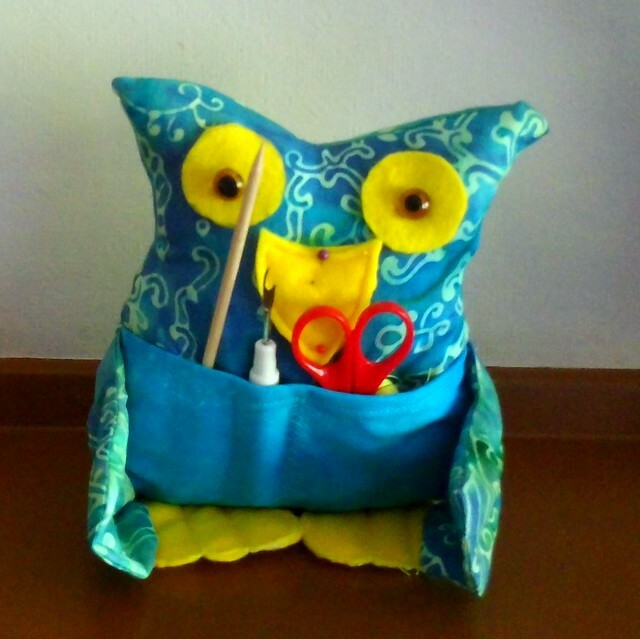 Coming around the bend is Marleen's little helper..
Marleen also made one for her daughter. He's helping her get a report card full of A's! Mr. Gray Owl is making his way through the crowd clutching his tools tight. Made by Cindy @ Pink Chalk Studios. Crafting 365 Days is easy with this guy spreading the love next to you..
Looks like someone needs a nap and rightly so, he flew in from Sweden! Made by NannaLinnea, see her project on Kollabora as well. 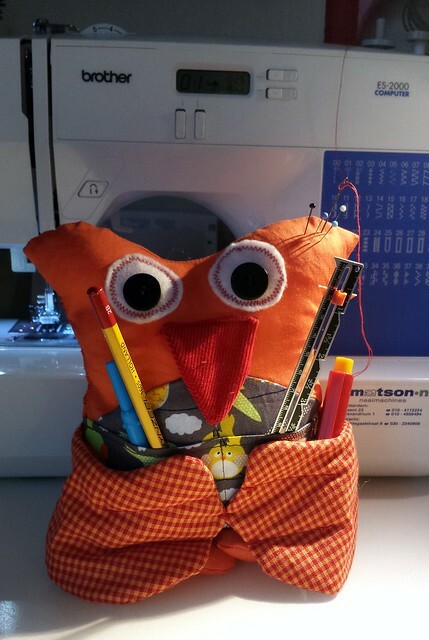 Last but not least Suzi from Fabric Maverick shares her sewing buddy. He's waving goodbye to the crowd reminding us all to keep calm and get the seam ripper. 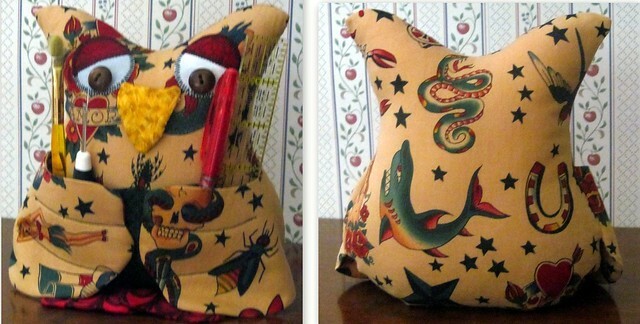 Hey hey hey I'm happy to say I won first place in FabricMart's Fabricista Challenge!! Diane from Gatorbunny Sews took second place and Kathy from Kathy Sews took third. Everyone, all ten of us, put in a lot of time and hard work to create some beautiful garments. We are all winners in my book! 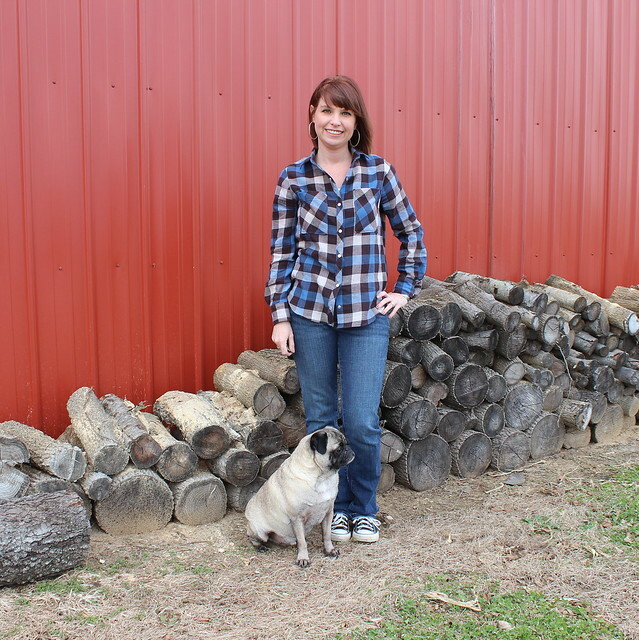 For the next 6 months I will be guest posting on the FabricMart blog. I'm really looking forward to that. Not sure of the topics I will be covering yet but I do know a sewing room tour will be coming up here in the next few weeks so look for that. Time to tidy up the space! The other part of the grand prize was a $25 a month fabric allowance for a year. Wooohooo! I think this weekend I will take a breather from any big projects. It will be nice to have my weekends free again to do as I please. I do have one alteration job to finish and then next up for me is to start watching some of the Craftsy classes I've had in my queue for quite some time. The first one on the list is "Fast Track Fitting" with Joi Mahon. Look for a review on it soon. "The phrase "winner winner chicken dinner" actually originated in Las Vegas back in the 1970's. The men working the craps or roulette wheel would shout this phrase to attract more players. Back then the usual bet was $2 which was the same price as a chicken dinner." 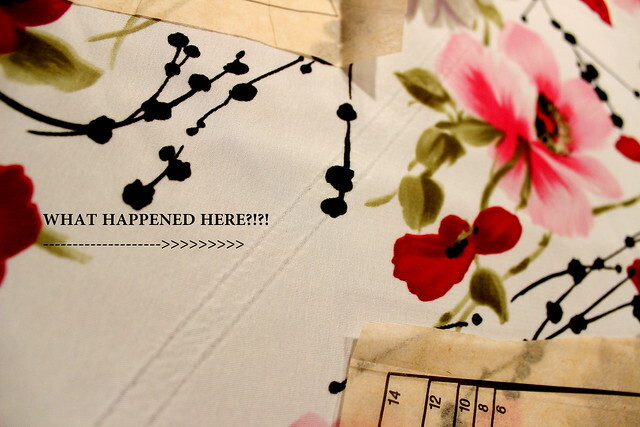 Well it's finally here peeps...the final challenge of the Fabric Mart Fabricista Challenge. Here it is.. 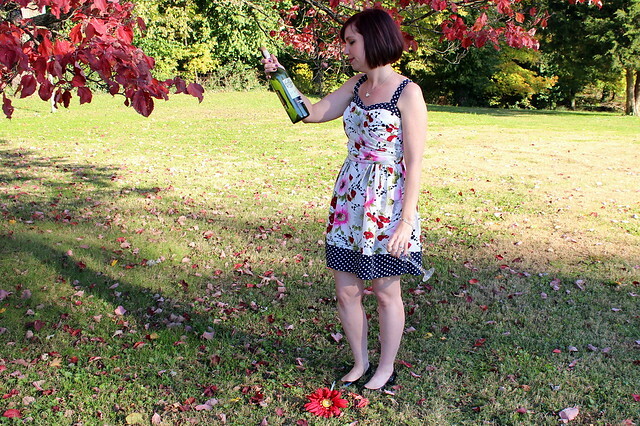 Challenge: Create 3 pieces that can be worn together as one outfit or 2 outfits that could be worn to the same event. Using the Pantone Fall Color Chart, select 2 fall colors to inspire your outfit. You will be judged on creativity, craftsmanship, use of color, and fit. The two colors I chose to focus on were Acai and Samba. Since I'm also on a time crunch, working 40 hours a week I chose to make a 3 piece outfit instead of the collection. 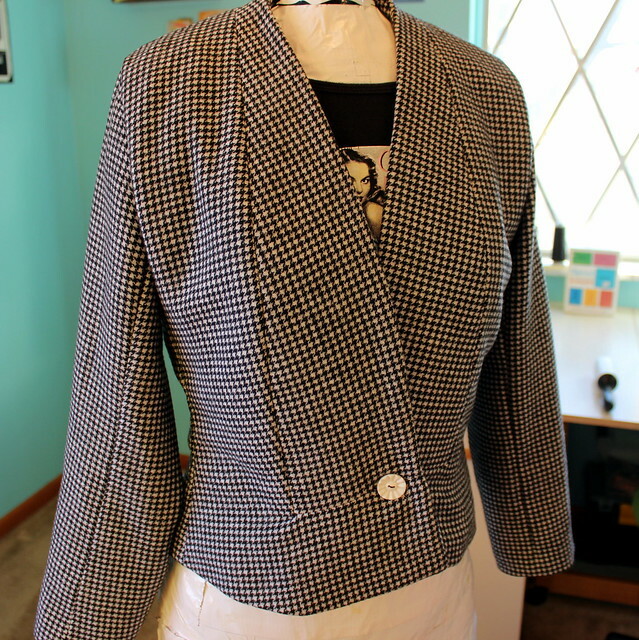 I had an idea I wanted to make a jacket (I seriously tried talking myself out of it several times) and I needed all the time I could get to focus on that since it was my first. Choosing my two colors all happened by chance. I would of never thought to pair red and purple together but I have to say I really love how the two look together. I spotted these two hanging out on a beautiful floral charmeuse. 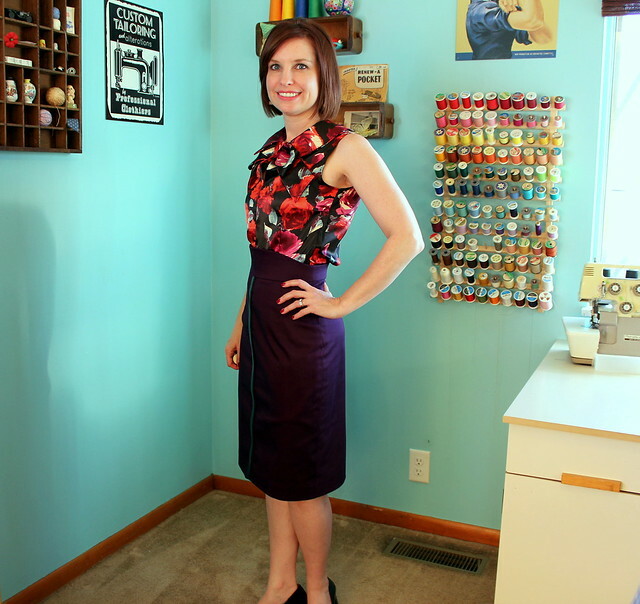 I used retro Simplicity 2154 to create the bow blouse. 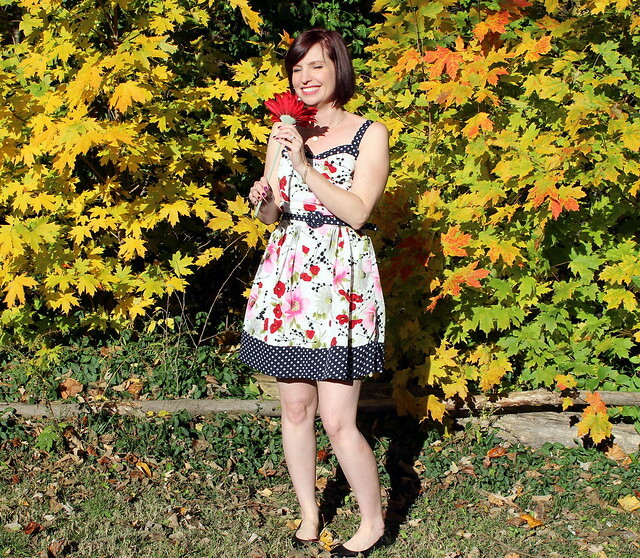 I cut my usual size 10 in Simplicity and didn't need any alterations. 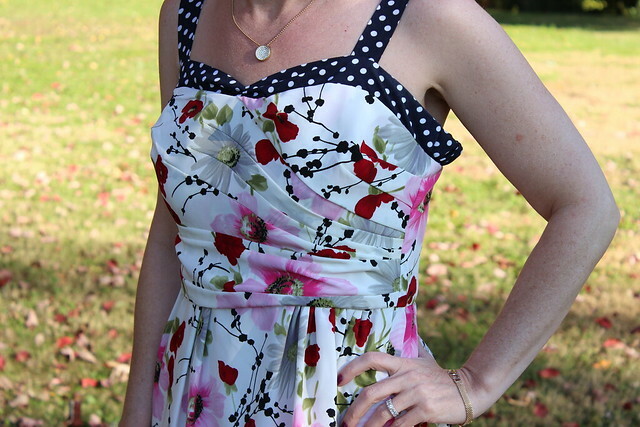 The back neckline has a keyhole button closure and there is a side lapped zipper. The bow is lightly interfaced to give it some structure. 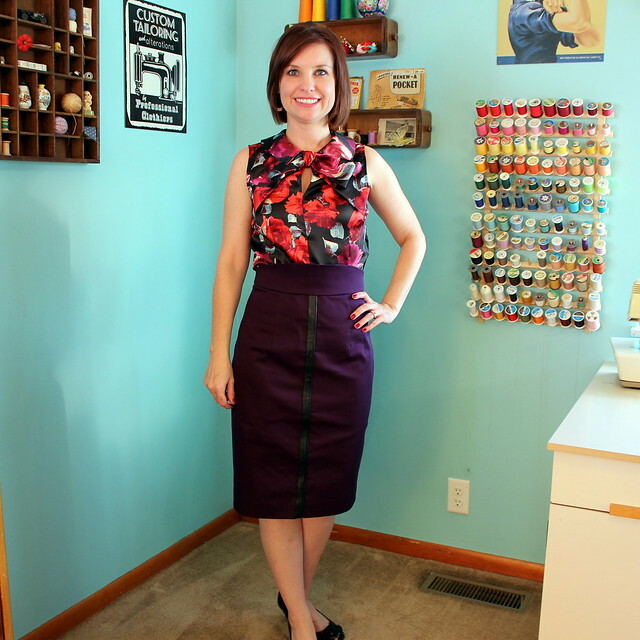 I paired this top with a blackberry cotton sateen pencil skirt. 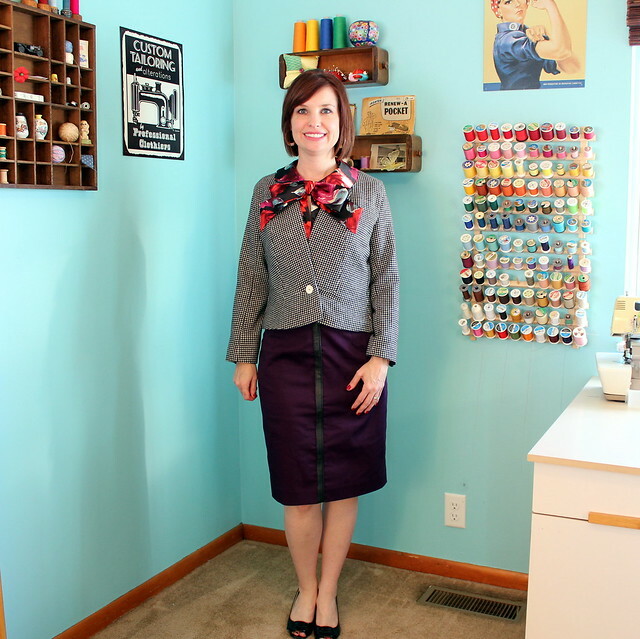 I used the pencil skirt pattern out of Gertie's New Book for Better Sewing. I love this skirt style. 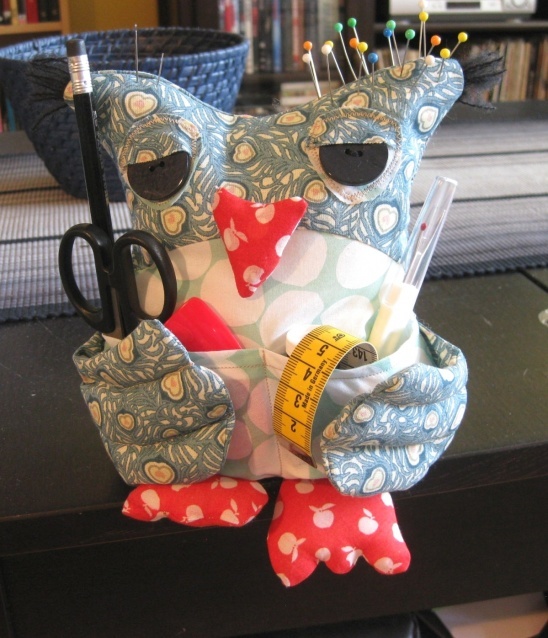 It was very easy to assemble and Gertie gives all kind of variations to it in her book. 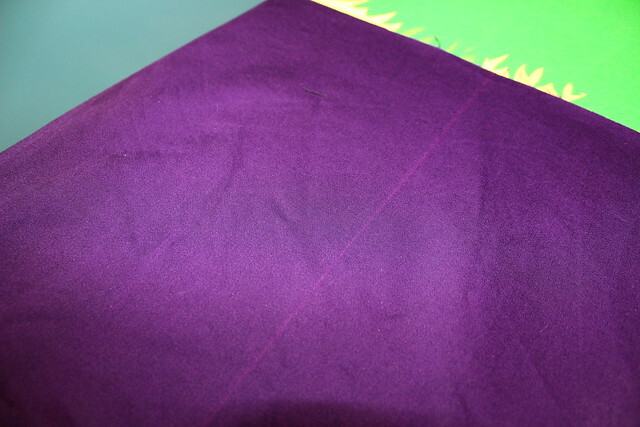 When I was beginning to assemble my skirt front I noticed a line of discoloration running down the middle of my fabric. Argh Joann Fabric this is the third time now!! Noticable huh!? I had no extra fabric to spare so I got creative. I found a faux leather strap from an old handbag and attached that to the front covering the line. An unexpected fun detail added to my skirt. 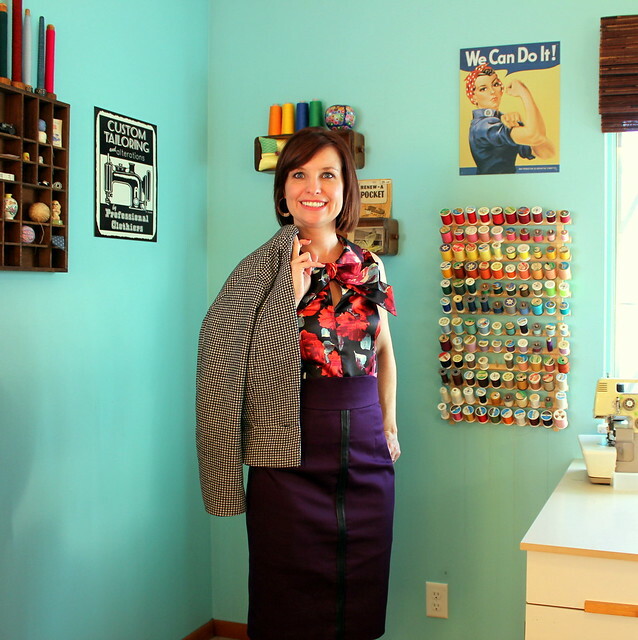 For my third piece I chose Burdastyle's long sleeve blazer pattern 106a. I went back and forth between cardigan - jacket. A plain black cardigan would be easy but I really wanted to push myself and make something I hadn't before. 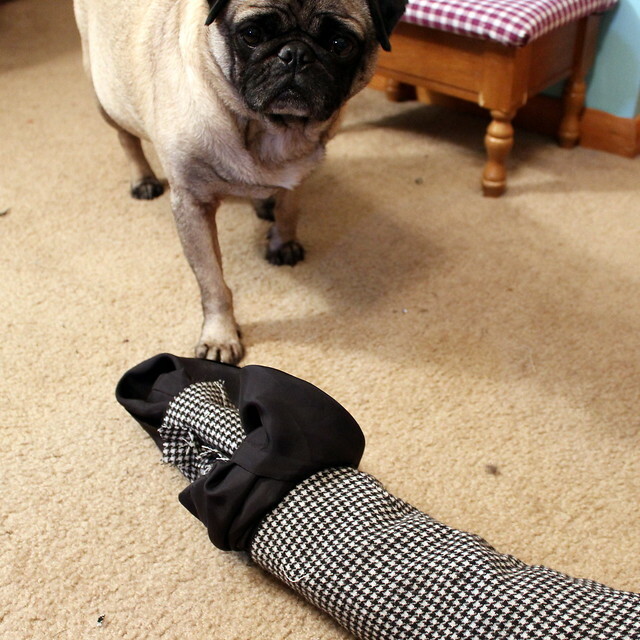 Plus once I picked up this wool houndstooth at Joann Fabric it wasn't going to let me leave the store without him. The sleeve heads help to support the sleeve as to keep it from caving in. 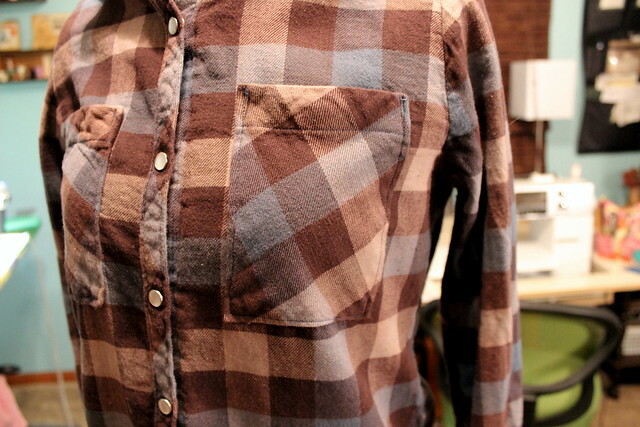 They also keep your seam allowances from showing on the outside of your jacket. And with the combined weight of the wool yay for not having to use shoulder pads. I despise those things! 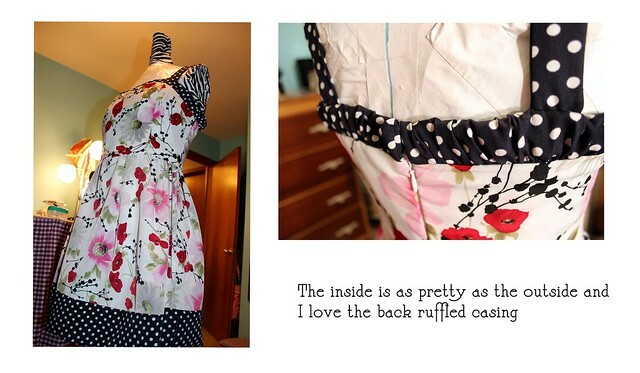 Reading other reviews of this jacket lead me to Jen from Grainline Studios tutorial on how to bag a jacket lining. 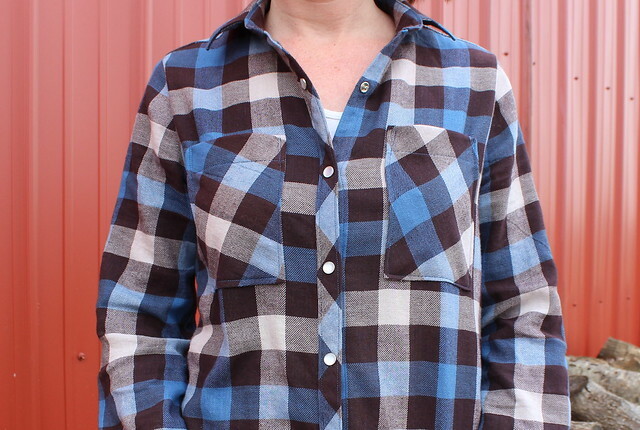 This is a wonderful tutorial and proves to be much easier and quicker then how the pattern suggests you attach the lining (which I kinda glazed over). It was actually the funnest part of making this jacket for me. The entire time your thinking, "This isn't going to work." And then like magic with a little pulling and tugging your sausage roll turns into a fully lined jacket! I'd like to thank everyone at Fabric Mart for hosting this challenge. It has been a lot of hard work at times but very rewarding. I've learned a lot, grown a lot in my skill and have a lot more clothes to wear! I've met some very nice, talented seamstresses who were all very supportive. And I could never forget a big thank you to all of you lovelies who supported me and cheered me on along the way. You will be judged on creativity, craftsmanship, how well your prints work together, your images, garment personality, and fit. After receiving the rules I headed straight to Joann Fabric on my lunch hour to get some ideas. I almost instantly spotted the two prints I wanted to use. A vibrant silky floral peach skin and a navy blue polka dot peach skin. Now what I've read on the internet about peach skin fabric is that it's most likely a woven polyester that is treated to have a mildly velvety textures just like a peach's skin. What I imagine when I think of peach skin is those tiny little hairs....nope, this fabric is not hairy. It has a silky touch and feels really nice against the skin. 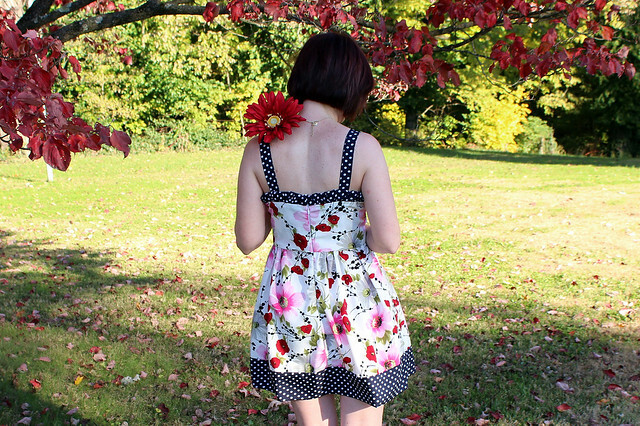 I knew I wanted to make a dress and this fabric reminded me of Spring. 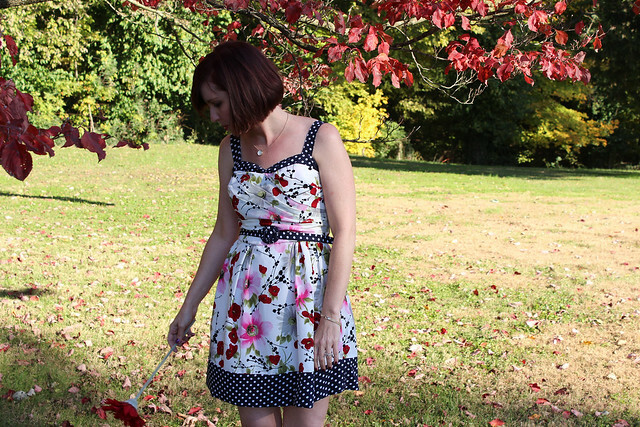 It's only November and I'm already dreaming about Spring and apparently still sewing for the season. (It's gonna be a LONG winter) The pattern I chose was Cynthia Rowley's Simplicity 2250. 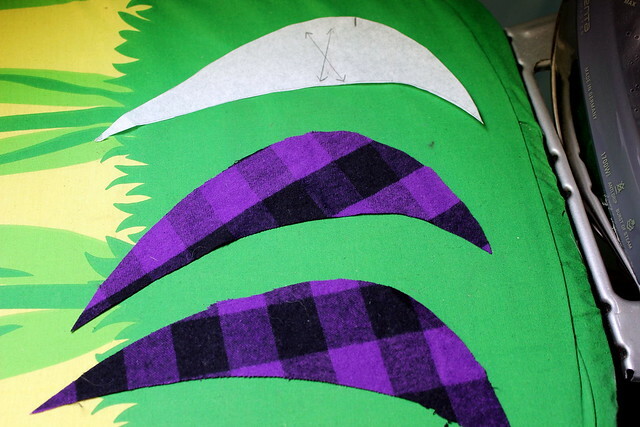 I hadn't a clue that the bodice alone has 11 pattern pieces containing 7 darts, 4 pleats and a fold. I was slowly starting to see my weekend unfold. I mulled over Pattern Review.com for a couple days reading reviews and planning my attack. I spent a whole evening after work just cutting out the pattern and fabric. I ran into a snag. After laying out my fabric on my cutting table (aka: kitchen island) I noticed a huge flaw in my fabric that ran at a diagonal all the way down the fabric. I decided I didn't have time to return it the next day so I worked around it strategically placing my pattern pieces around the bad spot. Maybe this is why it was marked 50% off!? 16 pattern pieces in total for View C. I chose to leave out the pockets and the tie back. If I ever chose to wear a jacket with it I didn't want a hump back from the tie. Now how scary looking is this pattern piece? If you follow the directions and assemble the darts in order you'll have no problems. It is time consuming and starts to play a little mind trickery on you after awhile but the end result is so worth it. 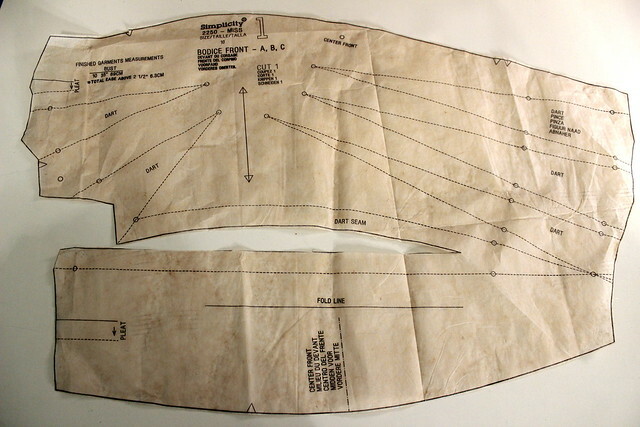 I love what all the darts do for the print of the fabric. 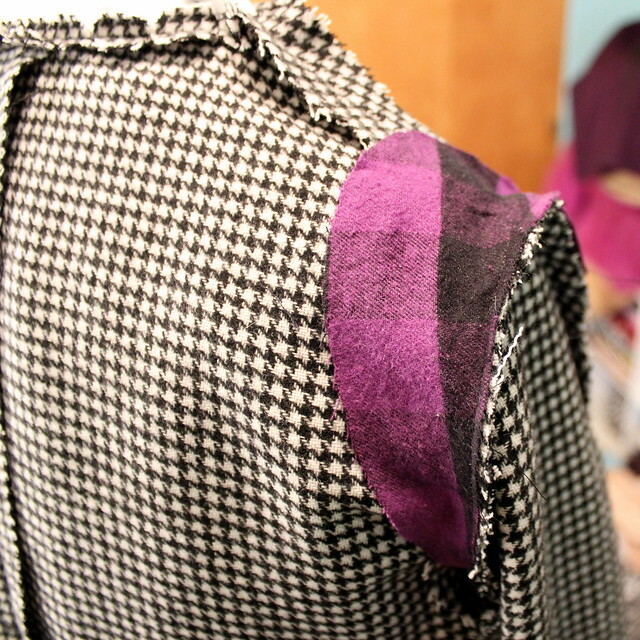 The bodice is also fully lined and interlined. A lot of reviews have said the lining is too short for the bodice so I followed some other bloggers and lengthend my lining by an inch. The skirt has lots of gathers and pleats and my favorite part is the contrasting ruffled back casing and bottom hem. I had quite a bit of the polka dot fabric left so I also made a belt. I cut my usual size 10 in Simplicity and I made no alterations. For the challenge we were to describe where we would wear our outfit. I imagine wearing it to an outside celebration decorated with lots of beautiful flowers like a Garden Party or do those only exist in songs? I'm surrounded by lots of friends, food and good wine...or is that good food and wine? Either way it's all good! 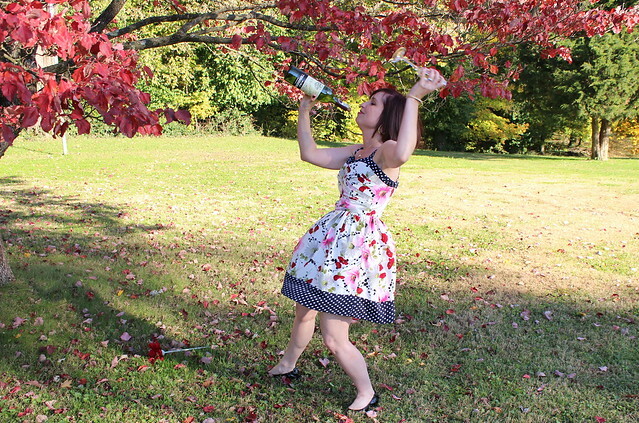 And because I'm not one for all seriousness all the time here's a goof shot....who needs a glass??? 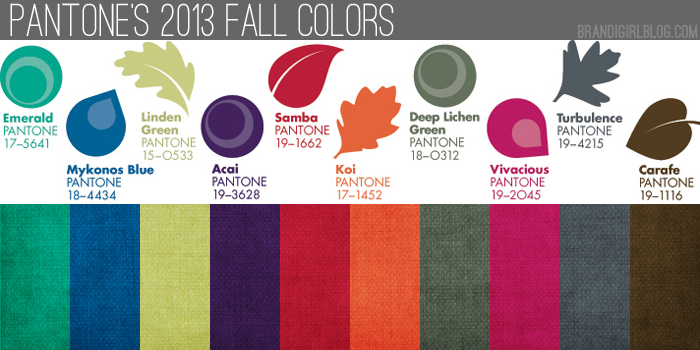 Make sure to check out the Fabric Mart blog and vote for your favorite. Voting ends Wednesday at midnight. Voting for this challenge is now over. Please go here to see the winner of this challenge and find out who's in the final three!